Mayor Adrian M. Fenty today signed a mayoral order appointing Michelle Rhee as the acting chancellor of District of Columbia Public Schools (DCPS), which he officially oversees as of 12:01 am today. The move marks the mayor’s first official act in his role as governing authority over the school system. 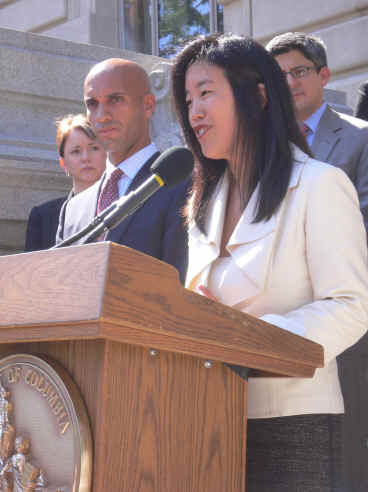 Rhee, who brings more than a decade of innovative education experience, will join the District government after serving as chief executive officer and president of The New Teacher Project (TNTP), an organization she founded in 1997 to achieve a greater impact on systemic education reform. Under her leadership, TNTP has grown into a national organization that has worked to recruit more than 23,000 new teachers for hard-to-staff public schools across the country. Working in partnership with the Washington Teachers Union to move hiring timelines from August to May to allow DCPS to secure the highest quality new teachers and provide veteran teachers with expanded choice as to where they teach in the city. For the first time, enabled DCPS to open schools for the last two years without teaching vacancies. Her commitment to excellence in education began in 1992 when she joined Teach For America and began a teaching career at Harlem Park Community School in Baltimore, Md. Her outstanding success in the classroom earned her acclaim in the national media. Specifically, Rhee worked with 2nd and 3rd graders scoring at the 13th percentile on nationally recognized standardized tests. By the end of her second year with the same students, 90 percent of them were scoring at the 90th percentile. 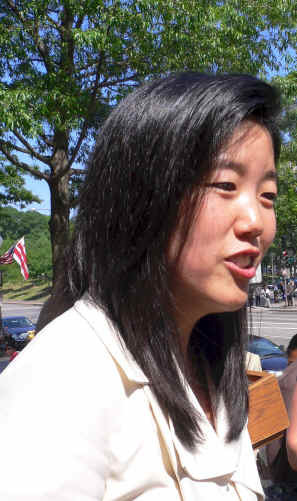 Rhee earned her bachelor’s degree in government from Cornell University and a master’s degree in education policy from the Kennedy School of Government at Harvard University. The New Teacher Project (TNTP) is a nonprofit consulting organization dedicated to increasing the number of outstanding individuals who become public school teachers and to creating environments for all educators that maximize their impact on student achievement. TNTP strives to accomplish these goals by creating innovative teacher recruitment and hiring programs, identifying the obstacles that school districts face to hiring the best teachers possible, partnering with school districts to optimize their teacher hiring and school staffing functions, and developing new and better ways to prepare and certify teachers. Since 1997, TNTP has recruited, prepared or certified approximately 23,000 high-quality teachers, worked with over 200 school districts, and established more than 40 programs in 23 states. TNTP has also published two major studies on teacher hiring and school staffing in urban areas: Missed Opportunities (2003) and Unintended Consequences (2005). Among others, TNTP’s clients include the school districts of Atlanta, Baltimore, Chicago, Memphis, Miami, New York, Oakland, Philadelphia, and Washington, D.C. and the states of Louisiana and Texas. 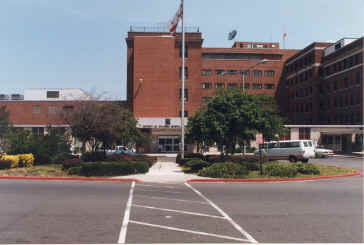 For more information, visit www.tntp.org.